Our client requested that we create a visually stunning impact report to clearly present the impact the charity with funder investment. Our clients also wished to use the impact report as a marketing tool thought the year. We created a charity impact report which followed Carer’s Support corporate branding guidelines. We have adopt a tried-and-tested marketing approach to developing an effective a charity impact report, which is a similar format to how any company brochure should follow. We need to identify the problem that the charity is solving; Carers Support helps carers who may struggle to admit they need help. This can lead to loneliness and mental health problems. Next we identified the services that Carer’s Support provided and the approach this charity takes to overcome the problems above. Carers Support provides funding, medical equipment, support and respite for unpaid carers. It is useful to demonstrate how the services fit together. Next we established the challenges that the charity’s service users’ face and we demonstrated with graphics and images how Carers Support overcomes for challenges. For unpaid carers, Carers Support will help alleviate stress. People who become carers are often close to the person who is ill and the previous relationship will change. Overcoming this change is just one of the many psychological challenges unpaid carers face. With cuts in Government spending, carers are finding it harder to access funding so Carers Support also offer financial support, which alleviates some stress. It is important for your charity to go deeper than saying it helps carers – carers have individual needs and case studies are excellent tool for highlighting this. Next with helped Carers Support demonstrate how it measures its performance. In our last blog we explained how some charities are perceived to be frittering money on admin. Throughout the impact report, you have reported how you meet the challenges of service users. Now you need to promote the evidence of the impact your charity has made. For example, how many service users have benefitted, feedback from service users, web stats to prove you are raising awareness of the public and are accessible to services users. Remember that some soft issues are harder to measure, however, it is still important to report them. This part of the impact report can benefit from using stunning infographics. Next we included a section on how Carers Support is developing and learning? It is good marketing practice to promote that there are areas where your charity wants to improve so we included the charity objectives for the next year or so. You can also promote the challenges you have overcome yourself as a charity. If your charity has adopted a coaching culture and your leaders are developing through executive coaching, this is a positive statement to promote. The Brand Surgery® is a brand development consultancy in West Sussex and we help many organisations to grow their brand through leadership development, strategic marketing and creative communications. 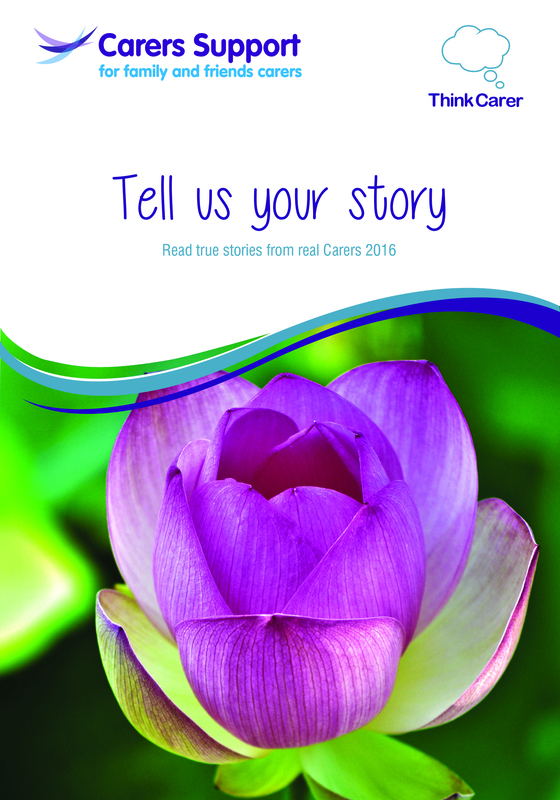 Take a look at the impact reports we have created for Carers Support. If you would like a new-look impact report witten and created for your charity, please call Vicky on 01903 824229.